V. Shebanin, Yu. Kormyshkin. State regulation of agricultural enterprise development. The article substantiates the essence of the concept of state regulation of agrarian entrerprise. A number of key problems of the agrarian sector development were identified. It is established that the generally accepted role of the state in a market economy is to create conditions, eliminate the negative consequences and problems of functioning of the market mechanism, as well as protect national interests in the domestic and world markets. An important role in the state regulation of the development of agrarian entrerprise in modern conditions is played by selected methods, which are classified according to two features – forms and means of influence. It is substantiated that direct and indirect methods of regulation play an important role in the state regulation of the development of agrarian entrerprise. 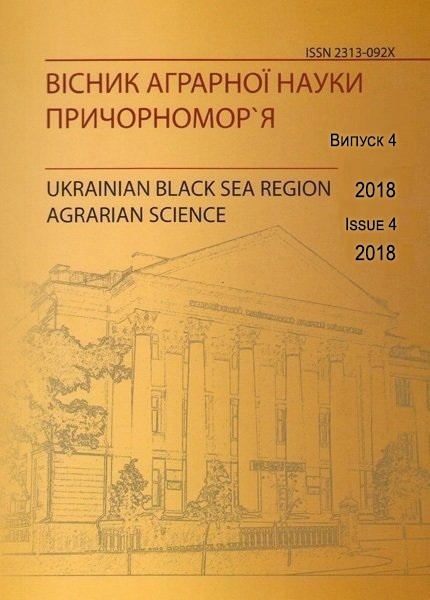 On the basis of the analysis of agrarian business activity, it was established that the current stage of agrarian entrerprise development in Ukraine due to unfavorable socio-economic problems demonstrates acceptable rates of development, which is, first of all, the result of the agrarian reform. Also, new challenges need a timely response from the state, agrarian science and practice. The financing state of the agrarian sector is analyzed and attention is focused on the main innovations of the financial support of the agrarian sector for 2017 from the state budget, namely: – increased up to UAH 300 million expenditures on cheapening of loans to enterprises of agrarian and industrial complex; – for the first time in three years the state budget for 2017 allocated funds for the selection and reproduction of water bioresources; for the funding of the program “Breeding in the fisheries and recreation of water bioresources in the internal reservoirs and in the Azov-Black Sea basin”, 40 million UAH were invested in the budget; UAH 75 million is allocated under the program “State support for development of hops, laying of young gardens, vineyards and patch of berries and their supervision”, which will increase the area of ​​laying of perennial plantations and will stimulate the development of infrastructure for the preservation of fruit and berry products and grapes; UAH 210 million is provided in support of the livestock sector. In addition, it was noted that the budget for 2017 provided for the mobilization of 400 million euros from the European Investment Bank for the implementation of investment projects in the agro-industrial complex. The suggestions on improvement of regulation and development of agrarian business are substantiated: – formation of effective state support; ensuring the efficiency of the domestic market and price regulation; – rational use of agricultural land; – development of a network of agricultural servicing cooperatives, which will promote not only the raise of channels transparency of products realization on the domestic market, decrease of expenses of agricultural producers and increase of the intensity of product promotion, but will also help to increase the volume and efficiency of export of agrarian products; – development of public-private partnership, which is implemented both in the promotion of the associations activities of private agricultural producers by the state, and the creation of public-private economic associations, which, along with commodity producers, include state authorities and local self-government; – improving the quality of food products and their compliance with international standards; – Expansion of export potential; – assistance in attracting foreign investments. It is determined that state regulation of agrarian business will effectively influence the development of agrarian business in Ukraine, subject to the proposed measures. Keywords: agrarian entrerprise, state regulation, development, methods of regulation, state budget. Derzhavna sluzhba statystyky Ukrainy : Ofitsiinyi sait. – Rezhym dostupu : http://ukrstat.gov.ua. Latynin M. A. Ahrarnyi sektor ekonomiky Ukrainy: mekhanizm derzhavnoho rehuliuvannia : [monohr.] / M. A. Latynin. – Kh. : KharRI NADU “Mahistr”, 2006. – 320 s.
Ministerstvo ahrarnoi polityky i prodovolstva Ukrainy : Ofitsiinyi sait. – Rezhym dostupu: http://minagro.gov.ua. Panukhnyk O.V. Napriamy ta shliakhy transformatsii derzhavnoi pidtrymky subiektiv ahrarnoi sfery Ukrainy / O.V. Panukhnyk // Aktualni problemy innovatsiinoi ekonomiky. – 2017. – № 1. – S. 5-10. It is set in the article, that exactly the agrarian forming in Ukraine are basis of providing of all kinds and forms of vital functions on a village, by the sources of formation of concomitant and additional types of activity and productions. Conditioning becomes an inalienable constituent to functioning of that for development of social responsibility. Reasonably, that social responsibility is a certain level of the voluntarily reacting of organization on social problems. Its appears ponderable direction of activity and has substantial influence on small and midsize businesses, providing of steady development of society on the whole. Realization of research witnessed that distinguish three even exposures of social responsibility of enterprise, each of that characterizes direction and measure of responsibility of managers of enterprise. On the whole all levels are single in one: social responsibility of enterprise is responsibility of enterprise before all people and organizations with that it clashes in the process of activity and before society on the whole. It is set that the input of social responsibility on an enterprise requires the observance of her basic principles at the observance of that, each of participants of entrepreneurial activity has the benefits. Adhering to principles of social responsibility to the managers of the agrarian forming, it costs to pay attention, that two her forms of display are: internal social responsibility and external social responsibility. Certainly, that the basic obstacles of becoming and development of social responsibility of enterprises, in particular agrarian forming following: imperfection of legislative and normatively-legal base that regulates possibilities of participation of enterprises in the social programs and establishments of education in forming of socially responsible specialists; absence of the formed and effective independent civil examination and estimation of results of the social programs, standards and quality of preparation of business-specialists; absence of the system of encouragement (moral and economic) of responsible public subjects. It is marked that social responsibility it is entered exactly on the large cost-effective agrarian forming. Exactly the agrarian holding get large profits and that is why have the opportunity to form strategy of development of business taking into account the necessities of society. 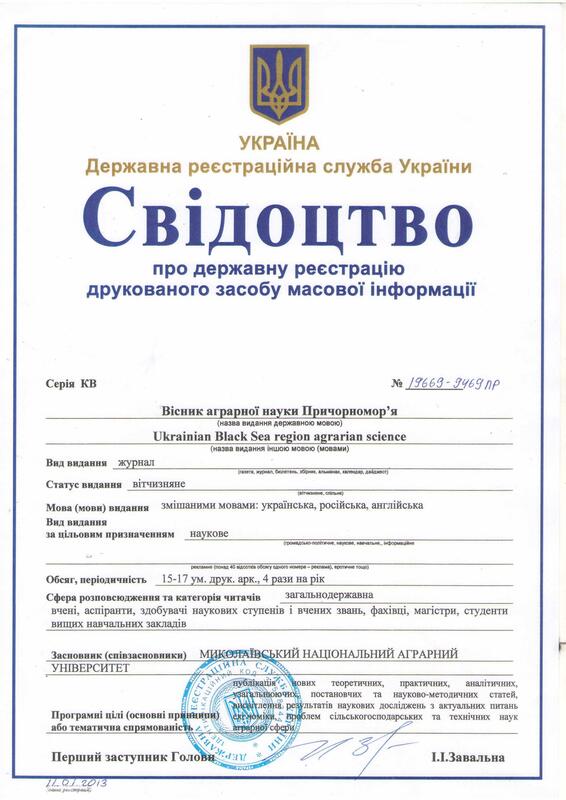 Accordingly what the examples of social responsibility of such enterprises are in-process considered: Ukrlandfarming Group, «NIBULON Company», Group of companies PJSC «Mironivsky hliboproduct». Experience of the considered large agrarian forming, testifies that guidance of the agrarian forming must examine charges on the social programs as one of forms of long-term investments. In connection with a difficult situation in the field of employment on a village, the agrarian forming is included in that small amount of employers that can provide workers placed population of this area. Exactly for help these enterprises the habitants of rural territories expect in the decision of social problems. For activation of input and realization of social responsibility in the shallow and middle home agrarian forming, it costs to provide the legislative adjusting and encouragement of the socially directed activity of these agrarian forming. Most agrarian forming report about the social responsibility and marks the observance of legislative base about sanitary-epidemiology, ecological and labor norms. But for realization of higher level of social responsibility there must be substantial tax deductions in the state. Keyword: social responsibility of enterprises, businesses, agricultural enterprises, the level of principles, forms of social responsibility. Social responsibility of agrarian formations. 2. Bajura D. O. Socialjna vidpovidaljnistj biznesu jak element stalogho rozvytku integhrovanykh struktur / D. O. Bajura, Ju. V. Chervina // Teoretychni ta prykladni pytannja ekonomiky. – 2013. – # 28, t.1. – S. 151–157. 3. Bajura D. Korporatyvna socialjna vidpovidaljnistj u systemi korporatyvnogho upravlinnja // Ukrajina: aspekty praci. Naukovo-ekonomichnyj ta suspiljno-politychnyj zhurnal. – # 1. – 2009. – S. 22. 7. Lazarenko O. Pryncypy korporatyvnoji socialjnoji vidpovidaljnosti: tendenciji suchasnogho svitovogho dosvidu / O. Lazarenko // Korporatyvna socialjna vidpovidaljnistj v Ukrajini: ekspertna dumka: zb. statej ta rekomendacij. – K.: Stylos, 2007. – S. 10-28. 9. Socialjna vidpovidaljnistj biznesu po-ukrajinsjky [Elektronnyj resurs]. – Rezhym dostupu: http://www. optima-pr. com. ua. – Nazva z ekrana. 10. Okhrimenko O.O. Socialjna vidpovidaljnistj. – Navch. posib. / Okhrimenko O.O., Ivanova T.V. – Nacionaljnyj tekhnichnyj universytet Ukrajiny «Kyjivsjkyj politekhnichnyj instytut». – 2015. –180 s.
11. ISO 26 000:2010 [Elektronnyj resurs]. — Rezhym dostupu : http://znaimo.com.ua/ISO_26000. 12. Caryk I.M. Reghuljatyvni instrumenty posylennja socialjnoji vidpovidaljnosti biznesu v systemi nacionaljnoji ekonomiky: [monoghrafija] / I.M. Caryk. – Chernighiv: Chernighivsjkyj derzhavnyj instytut prava, socialjnykh tekhnologhij ta praci, 2011. – 152 c.
13. Shynkarenko Y. Luchshe sporytj, chem voevatj [Elektronnyj resurs] / Y. Shynkarenko. // Эkspert. – 2009. – # 11 (109) – Rezhym dostupu: http://www. expert. ua/articles/16/0/3543/. – Nazva z ekrana. 14. Shedjakov V.Je. Socialjna vidpovidaljnistj biznesu i stalyj rozvytok krajiny / V.Je. Shedjakov // Socialjna psykhologhija. – 2011. – # 3 (47). – S. 69-77. It is set in the article that with liquidation of the state system of the centralized system of purchase of agrarian products present infrastructure sale appeared not able to provide the effective functioning of agrarian market. The row of business intermediary corporations that does not have a corresponding material and technical base and buy products on opaque charts and on dumpings prices appeared. Reasonably, that the most urgent problem of modern development of agroindustrial complex of Ukraine is forming of the civilized transparent channels of advancement of agricultural produce from a producer to end-user through development of business-infrastructure of agrarian enterprise. It is marked that the process of forming of business-infrastructure for an agrarian enterprise is continuous, has an orientation to specialization of services, to expansion of their nomenclature, upgrading. Than completer business-infrastructure, so much the better terms in that an agrarian enterprise develops most optimally. – activation of collaboration of agar education and science in forming of business-infrastructure of agrarian enterprise – exactly agrarian higher educational establishments that engage in research-and-developments become the most ponderable constituent of development of agrarian enterprise. Key words: business-infrastructure, agrarian enterprise, forming, education, international organizations, institutional providing. Strategic directions of forming of the effective business infrastructure of agrarian enterprise. The article substantiates the economic efficiency of the agricultural entrepreneurship is evaluated using economic indicators, each of which reflects the quantitative and the qualitative characteristics of economic phenomena and processes, simple and expanded reproduction, a numeric expression of certain categories and concepts. It is established that the system of factors should be devided in three ways: the types of expenses of production and resources, directions of development and improvement of production, the place of implementation of factors in the system of management. Key words: effective development, the agrarian entrepreneurship, indicators factors, the system. The system of indicators and factors of effective development in agrarian business. 1. Andrijchuk V.Gh. Ekonomika aghrarnykh pidpryjemstv / V.Gh. Andrijchuk . – K.: KNEU, 2002. – 584 s.
2. Verkhoghljadova N. I. Systema pokaznykiv dlja upravlinnja stijkistju funkcionuvannja budiveljnogho pidpryjemstva/ N. I. Verkhoghljadova, I.V. Kononova // Visnyk Khmeljnycjkogho nacionaljnogho universytetu. – 2011. – # 1. – S. 7-10. 3. Ekonomika pidpryjemstv: Pidruch / [ Ghorbonos F. V., Cherevno Gh. V., Pavlenchyk N. F., Pavlenchyk A. O. ta in..] – K.: Znannja, 2010. – 463 s.
4. Ekonomika pidpryjemstva : Navch. posib. / D.I. Ryzhmanj, I.M. Kryvoruchko, Gh.Ja. Vinnichuk, M.T. Pyljavecj; za red. D.I. Ryzhmanj. – Vinnycja, 2010. – 581 s.
5. Ekonomika pidpryjemstva: Pidruchnyk / za zagh. red. S.F. Pokropyvnogho – Vyd. 2-ghe, pererob. ta dop. – K.: KNEU, 2005. – 528 s.
6. Ermolovych L. L. Analyz khozjajstvennoj dejateljnosty predpryjatyja : [ucheb. posobye] / L. L. Ermolovych, L. Gh. Syvchyk, Gh. V. Tolkach, Y. V. Shhytnykova ; pod. obshh. red. L. L. Ermolovych. – Mn. : Ynterpresservys ; Эkopresservys, 2001. – 576 s.
7. Metodychni rekomendaciji po analizu finansovo-ghospodarsjkogho stanu pidpryjemstv ta orghanizacij stanom na 15.09.2008 r. / Derzhavna podatkova sluzhba Ukrajiny. [Elektronnyj resurs]. – Rezhym dostupu : http://prou4ot.info/index.php?section=browse&CatID=156&ArtID=422. 8. Mnykh Je.V. Ekonomichnyj analiz: Pidruchnyk dlja studentiv vyshhykh navchaljnykh zakladiv. – K.: Centr navchaljnoji literatury, 2003. – 412 s.
9. Onyshhenko O. Finansova rezuljtatyvnistj siljsjkoghospodarsjkykh pidpryjemstv// Ekonomika Ukrajiny. – 2005.- # 2.- s. 59-70. 10. Orghanizacija vyrobnyctva i aghrarnogho biznesu v siljsjkoghospodarsjkykh pidpryjemstvakh: pidruch. / S. P. Azizov, P. K. Kenijsjkyj, V. M. Skupyj / za red. prof., S. P. Azizova. – K. : IAE, 2001. – 834 s.
11. Polozhennja pro porjadok zdijsnennja analizu finansovogho stanu pidpryjemstv, shho pidljaghajutj pryvatyzaciji: Zatverdzheno nakazom Ministerstva finansiv Ukrajiny, Fondom derzhavnogho majna Ukrajiny vid 26.01.2001 r. # 49 / 121/ Zakonodavstvo Ukrajiny; elektronni dani. – K.: Infodysk, 2005. 12. Sabluk P. T. Cina – instrument upravlinnja / P. T. Sabluk // Ekonomika APK. – 1996. – # 4.– S. 6. 13. Savycjka Gh.V. Ekonomichnyj analiz dijaljnosti pidpryjemstva: Navch. posib. – 2-ghe vyd., vypr. i dop. – K.: Znannja, 2005. – 662 s.
14. Systemы эkologhycheskogho menedzhmenta dlja praktykov / [Dajman S. Ju., Ostrovkova T. V., Zayka E. A., Sokornova T. V.] ; pod. red. S. Ju. Dajmana. — M. : Yzd-vo RKhTU ym. Mendeleeva, 2004. – 248 s.
15. Sokolov Ja.V. Bukhghalterskyj uchet: ot ystokov do nashykh dnej. – M.: «Audyt, JuNYTY», 1996. – 638 s.
16. Stasjuk Gh.A. Finansy pidpryjemstv: Navch.posibnyk. – Kherson: Oldi-pljus, 2004. – 480s. 18. Jushkevych O.O. Systematyzacija poghljadiv do teoriji rozvytku pidpryjemstva jak vidkrytoji systemy / O.O. Jushkevych // Visnyk Zhytomyrsjkogho derzhavnogho tekhnologhichnogho universytetu: naukovyj zhurnal [Serija: Ekonomichni nauky]. – 2011. –#2 (56) – Ch. 2.– S. 179-183. In article results of generalized classification of elements of business infrastructure of agrarian business by functional features. It is established that the business infrastructure of agrarian business envisages aggregate of sectors or modes of production activities that serve and ensure the normal functioning the main production and non-production sphere. Examining the functions of business infrastructure, it was determined that functionally business infrastructure of agrarian entrepreneurship is associated with all sectors of agrarian manufacture and serves its integral part. During the study was considered the various classifications elements of business infrastructure, namely: according to of carried out functions, during sales of products, when debugging of business relations between various business entities, the by sectoral division of and so on. – elements of business infrastructure under applicable law (business centers, business incubators, innovative business incubators, science and technology centers, technology parks, private business support, financial institutions, innovation and investment funds and companies, leasing companies, counseling centers etc.). It was concluded that the business infrastructure of agrarian entrepreneurship brings together industry, that ensure production and maintenance of agricultural production, creation of the necessary production and operation, organizational and technical conditions for initial production in all sectors of the agricultural sector and so on. Key words: business, business entrepreneurship infrastructure, classification, elements infrastructure, agricultural business. Systematization and classifi cation of the elements business infrastructure of the agricultural business. The article deals with the topical issue of organizational and economic relations of economic entities’ formation. The latest set the stage for sustainable growth of individual organizations, industries, regions and the national economy as a whole. In the article the author’s view of the concept of “organizational and economic relations of agrarian enterprises as the subjects of foreign economic activity” is given. It is emphasized that relationship can be formed and developed in the course of foreign economic activity; or set of relationships between trade operators and third parties arising from the implementation of different types of foreign transactions. The specifics of the agrarian enterprises as the subjects of foreign economic activity are characterized by specified components of their organizational and economic relations. Namely organizational relationships include relations associated with management and organization of foreign economic activity; foreign contractual activities; training of personnel in the area of ​​foreign economic activity; transactions across the customs border; information; forming and driving statistics. The components of economic relations are the relations related to the formation and implementation of foreign economic potential; investment; formation of trade relations; customs payments, monetary and financial relations. The author stresses that the effective functioning of organizational and economic relations is possible only with complying all the subjects of foreign economic activity according to some certain methodological principles. In particular, the compliance with the legal framework; efficiency; mutual benefit; stability; consistency; adequacy; this unity and strategic planning and forecasting; system and principles. Keywords: organizational and economic relations, farms, business entities, mechanisms of regulation. Обґрунтовано необхідність державної підтримки сільського господарства, зокрема галузі рослинництва. Визначено основні недоліки даного процесу та запропоновано шляхи розв’язання питання.